Of all the awards that will be presented on Sunday at the 84th annual Academy Awards, no category is so up in the air as the race for Best Documentary. Of the four nominees I've seen (a scheduling conflict left me unable to attend my press screening of Pina), I can honestly see the award going to any of them.With all the pundits seemingly predicting a different winner, I decided to run down the pros and cons of each film on their own to try and get a better picture of the race. 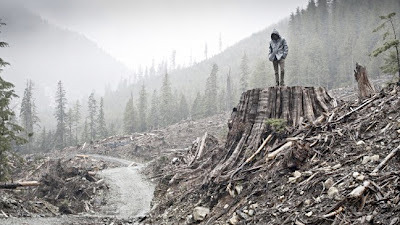 This remarkably even-handed documentary profiles the Earth Liberation Front, a group of radical environmental activists, through the lens of one of their members on trial for arson. Raises interesting questions about what makes a terrorist, questioning whether someone who purposefully targets empty buildings so as not to harm anyone should be branded a terrorist and tried under post-9/11 anti-terrorism laws. Curry and Cullman keep a pretty even hand throughout, neither siding with the ELF or condemning them for their actions. Given the controversial nature of the subject, it's a pretty remarkable achievement. Why it could win: The Academy loves issue docs, and If a Tree Falls deals with both environmentalism and post-9/11 paranoia with surprising impartiality. Why it might not win: The Academy also loves their docs to have an emotional hook, which If a Tree Falls really doesn't. The subject isn't particularly likable and it's hard to connect with or feel sorry for a guy who only got seven years for burning down buildings, which doesn't really seem like overkill. Director Danfung Dennis goes from the front lines to the home front in this startling documentary about a wounded Afghanistan vet suffering from PTSD. Dennis juxtaposes his experiences on the battlefield with his increasing stress at home, creating a poignant and disturbing portrait of psychological duress under extreme pressure. It's a powerful exploration of modern warfare, and its harrowing battle scenes (in which soldiers are actually killed) make for wrenching viewing. Why it could win: It's a war doc with a strong emotional hook. It's topical and current, which is often a recipe for success at the Oscars. Why it might not win: Could the Academy be suffering from war fatigue? 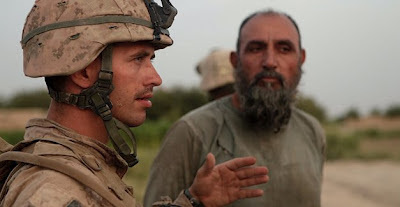 Tim Hetherington and Sebastian Junger's similarly themed Restrepo lost the award last year to Charles Ferguson's financial crisis doc, Inside Job. This fascinating and disturbing documentary is the culmination of one of the most remarkable pieces of journalistic advocacy in recent memory. Detailing the startling new evidence in the case of the "West Memphis 3," accused of murdering three 8 year old boys, the film is a shocking and surprisingly even handed exploration of an egregious failure of the American justice system, for both the victims and the accused. 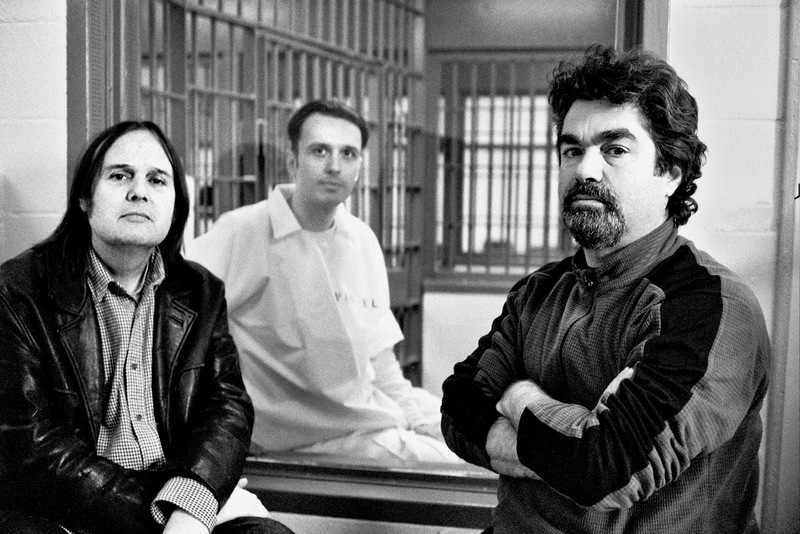 Why it could win: The Academy famously ignored the original Paradise Lost back in 1996, which had no small part in turning public opinion on this case, resulting in the release of three innocent men, one of whom was on death row. Awarding the final installment, which was preparing for release right before the men were finally freed (an epilogue was added to update the film), would be a great way to make up for it. It's also ripped-from-the-headlines current, which doesn't hurt. Why it might not win: It's undeniably disturbing, and its graphic detail about the murders (including horrific images of the murdered children's bodies), may turn voters off. 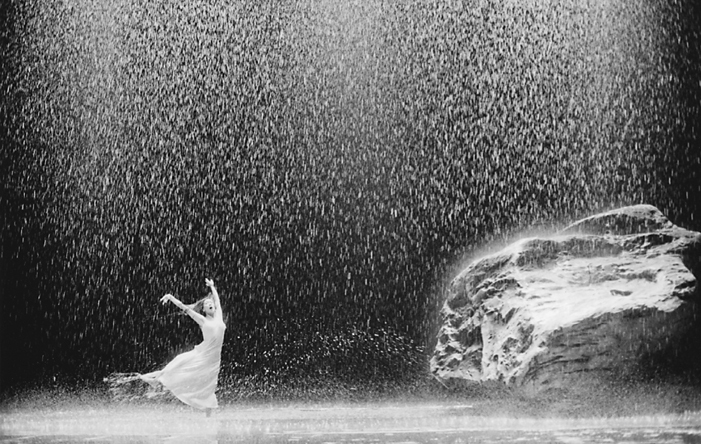 Why it could win: While I haven't seen Pina, it's beautiful, 3D visuals may win over voters. Awarding it will also be an award for legendary German director, Wim Wenders, who has never won an Oscar. Why it might not win: It's a movie about dance, which might not be substantial enough to inspire voters to check their ballots. Also - it's in 3D. No, not the Sarah Palin movie, just another underdog football story. 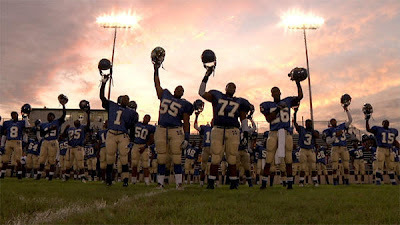 This unremarkable documentary tells the story of a ragtag football team from Tennessee comprised of mostly inner city kids that was the laughing stock of the state until a determined coach turned the program around into a winning season. We've seen this movie before many times in many other forms, and there's nothing new here. Why it could win: The Academy loves their feel-good underdog stories, and this one has a strong emotional hook. It's not an "important" issue doc necessarily, but fluff has won before (see March of the Penguins). Plus it was distributed by the Weinstein Company. Never count out Harvey. Why it might not win: If you don't like football, forget it. And its storyline is very familiar for anyone who has ever watched a movie. Ever. There's nothing here to distinguish it from the crowd.